What is your favorite movie? Most people ask you that question on a date or in general as a way to get to know someone. The responses always vary because it is a matter of opinion. 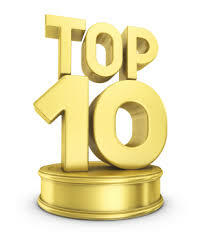 I have a list of my favorite movies of all time which include many classic and newer films. Although, I have never sat down and made a list of my 100 favorite movies because it is strains my mind too much. I can decide on my top ten favorite movies of the 2014. Favorite doesn’t mean that my movies are some of the best movies of the year but they could be. Peabody and Sherman (surprising I know but darn good movie). I love this cast. 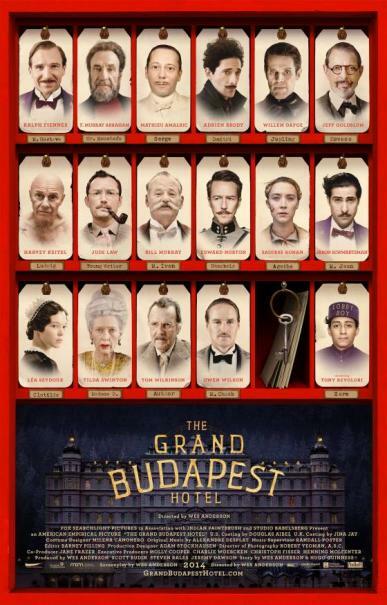 Grand Budapest Hotel’s cast and their interaction with each other made me see this film twice in the theater. I’m not a Wes Anderson fan but this film was super amazing. My mom and I have watched the blueray a few times since we got it. The movie itself made me laugh all of the way through it. I still quote lines from this film and replay scenes in my head. Grand Budapest Hotel is a delightful comedy and Ralph Fiennes is one of the reasons why. Tom Hardy is brilliant and one of my favorite actors in Hollywood. Tom Hardy also starred in The Drop which is probably why it made my honorable mentions list. Locke is only 90 minutes long but the runtime tells a creative emotionally story which is might be why I adore this film so much. It is also a British film, and I have a soft spot for British entertainment. Tom Hardy really gave a performance of a lifetime because he is a one man trick and pony show in the film. Steven Knight wrote and directed a great indie flick that few people have seen but when they watch it. They will fall for Tom Hardy as an actor as much as I have. I will see Mad Max: Fury Road in May because Tom Hardy does star in it. I don’t think it will get my money opening weekend though. 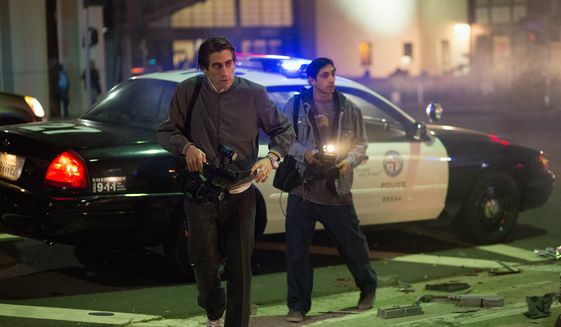 I loved Nightcrawler because of the underlying theme. I also have a preference for sociopathic film characters and Jake Gyllenhaal portrays one. Nightcrawler’s theme is about greed and selfishness. Lou, Gyllenhaal, is a selfish greedy free lance reporter. 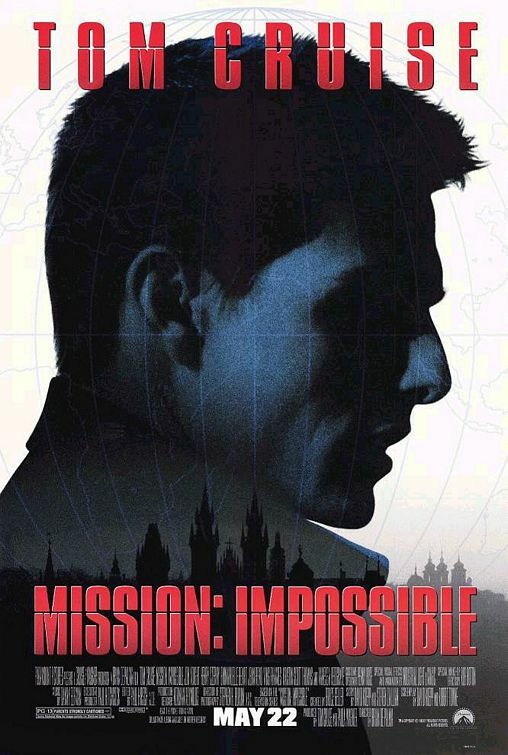 He will sabotage a rival reporter, and put his employee, Rick, in jeopardy to become number 1 in the game. He also blackmails his boss to sleep with him. Gyllenhaal gave the best acting performance in an American film of this year. The movie also stars Bill Paxton and Rene Russo. They really make this film great and the film is two hours of pure entertainment and suspense with a lot of jaw dropping moments. Chef is one of those films that really hit a note with me. I love to cook but watching Jon Favreau prepare food was awesome. I left the theater hungry and wanting to try one Favreau’s Cabanos from Chef. 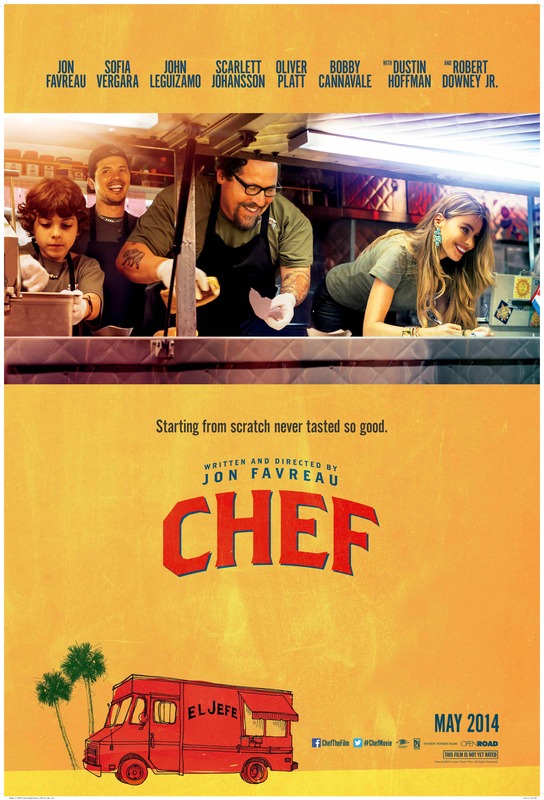 Chef is about Chef Carl Casper fall from a prestigious LA chef to a unemployable chef after his tirade with nation wide prestigious food critic at the place of his employment. The film is more importantly about family and having to struggle between your career and your kids. The cast of Chef is spectacular. The actors all have great chemistry together on screen and make this film a wonderful comedy. I would highly recommend this movie to anybody. The latina music is super amazing and could see people grooving to it in the their seats. I enjoyed this film so much that I made my grandmother to go the theater with me to see it. Apes on Horses!!! Dawn of the Planet of the Apes might be better than the first Planet of the Apes. The plot has so many different directions that makes you think that you know what will happen next but then a character changes that outlook. Andy Serkis, Toby Kebbell, and Karin Konoval play the three most important apes. Serkis is the Caesar, the leader while Kebbell plays Koba and Konoval plays Maurice Caeser’s Lieutenants. 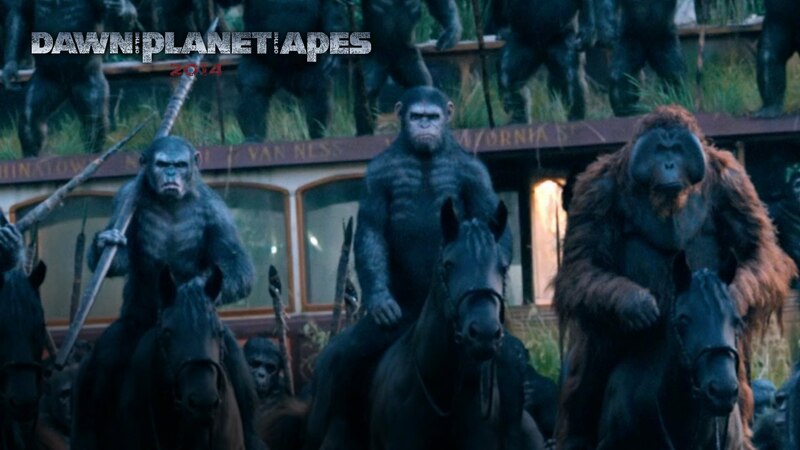 Dawn of the Planet of the Apes is very realistic film which has beautiful visuals of a post apocalyptic world. Serkis and the other actors playing Apes had motion capture suits on, and the special effects crew made them look like real humanoid apes. I think this is one of the years best films and possibly one of the best blockbuster in a long time. The third one comes out in July 2016 so they will be filming the movie this year. Captain America 2 is pure entertainment that has comedy fused in the story from the moment from the first scene. Sam Wilson, Anthony Mackie, is running around the National Memorial, and Steve Rodgers keeps passing him saying “On your left.” The moment immediately forms a friendship between Rodgers and Wilson that is why they team up later in the film. Chris Evans is so great as Captain America. 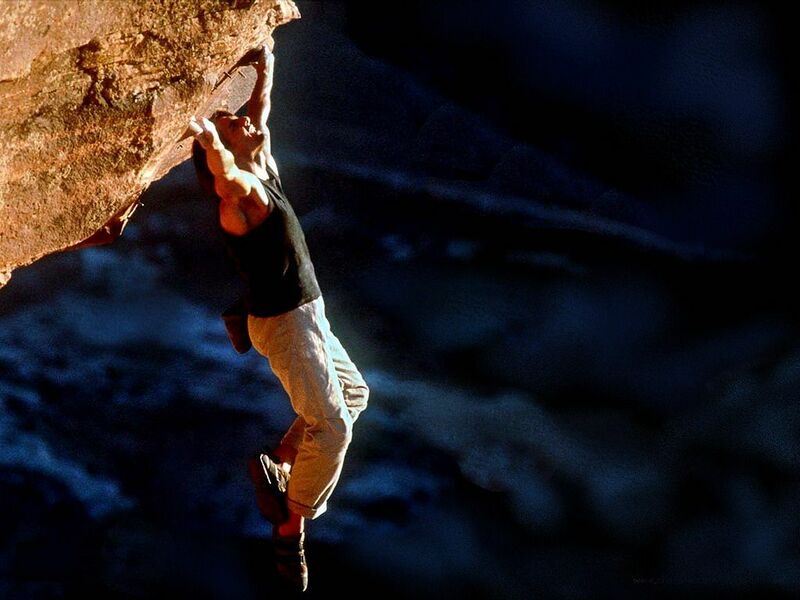 He can inspire you to feel patriotic and just a lot like Christopher Reeves as Superman. I love Captain America more because of Chris Evans. 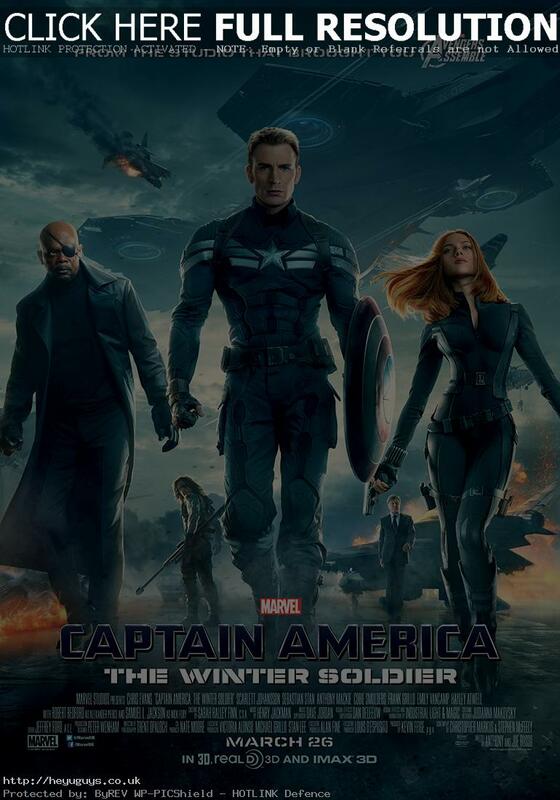 Captain America 2 is one of the best action movies of the year, and one of the best movies of the year overall. 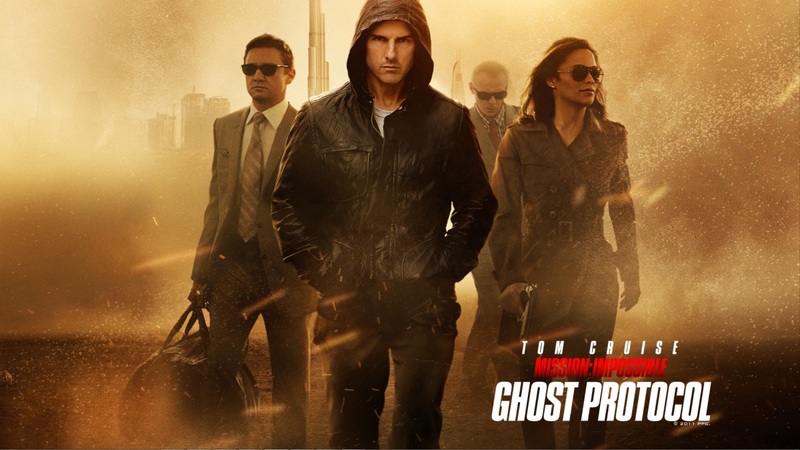 This movie makes you feel like you are watching a Jason Bourne movie with Captain America in it. Captain America will appear in Avengers: Age of Ultron in May then Captain America: Civil War. He will fight Iron Man’s ideas and probably Iron Man himself in Civil War in May 2016. 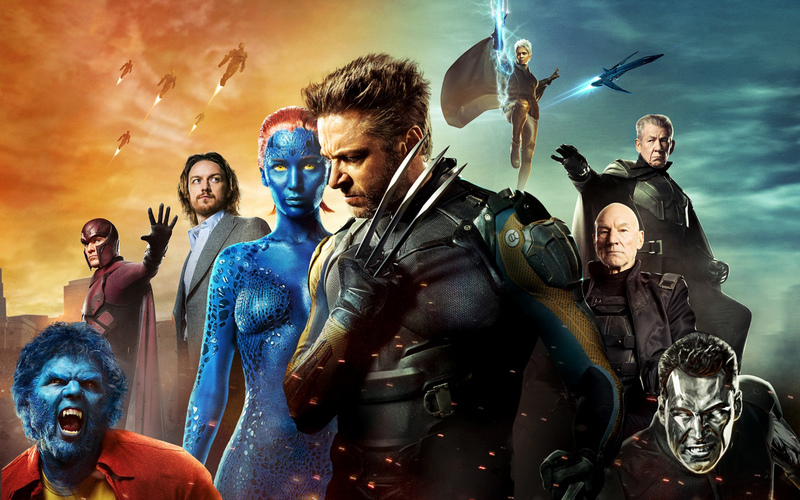 X-men Days of Future Past corrected the mistakes of Brett Ratner and the First Wolverine movie. The plot is simple. Wolverine, Hugh Jackman, travels back in time to prevent Mystique, Jennifer Lawrence, from assassinating Bolivar Trask, Peter Dinkage. The government creates the Sentinel program because she killed Trask and use her DNA to make the ultimate Sentinel. The Sentinel are super intelligent robots that hunt mutants. The X-Men franchise hit a homer with this movie. It has comedy, amazing action sequences, and it is pure entertainment. The variety of mutants are great and it is nice to see each of them use their own powers. Simon Kinberg wrote the script which has made the internet fan boys semi-excited for the new Fantastic Four movie coming out in August (he wrote the script). Bryan Singer returned to the X-Men franchise and got the direction of the franchise back on track. The film will have a sequel X-Men: Apocalypse which will start filming in April. Fox Studios are releasing a Gambit movie and Deadpool movie which will be part of the X-Men universe. Ugh, I can’t wait for 2016. I don’t have this movie yet. Singer cut Rogue from the film and I want Rogue in this movie. This movie is pure fun. It is a great science fiction movie with great witty dialogue and pop culture references. This little known comic book property has shocked the world by its success with a worldwide audience and financially was a home run. The cast is great. The interaction between characters is spectacular. This is Marvel’s most entertaining film. I reply it in my head all of the time. 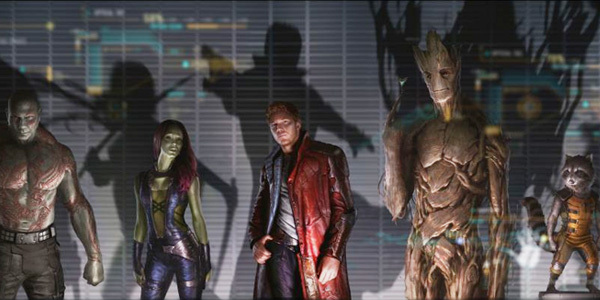 Guardians will come back to the big screen in May 2017. Again, I can’t wait to see what James Gunn comes up with for the sequel. I have seen it multiple times and still want to dance like Star Lord or along with him. Edge of Tomorrow looked so horrible from the trailers, and thanks to bad marketing by Warner Bros, this movie wasn’t a success at the box office domestically. However, the film was a success with its viewing audience. Many people like me just completely were stunned by the movie. Tom Cruise is at his best in Edge of Tomorrow. 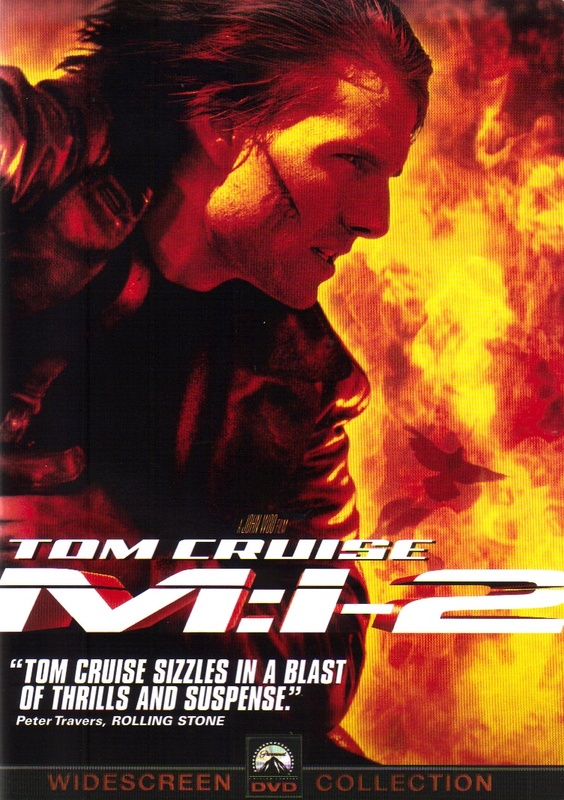 He was played the likeable action hero in this movie and nailed the role. 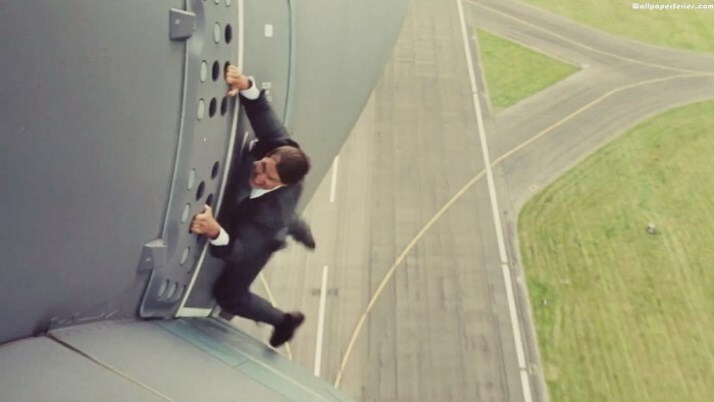 Personally, Tom Cruise like Tom Hardy is a guy that I will go see any movie that he is in. Emily Blunt played the female protagonist, and she was magnificent. She and Cruise had such great chemistry on the screen. Edge of Tomorrow is edited in a way where every repeat scene is different. 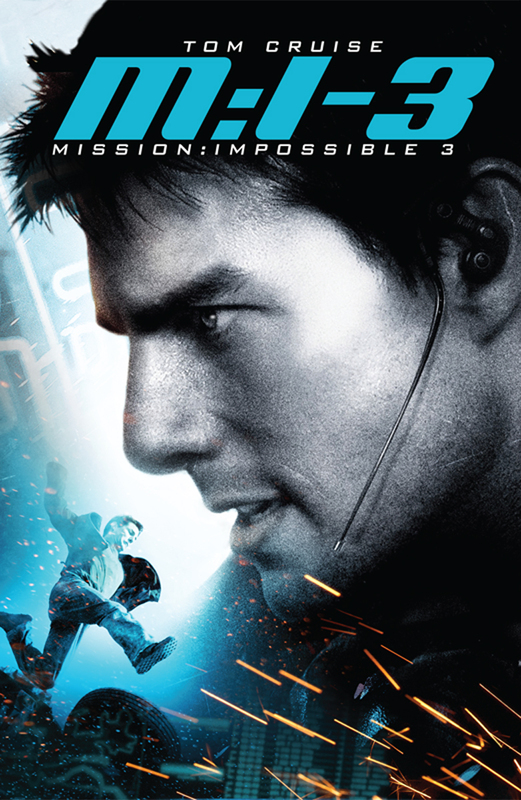 Cruise plays Major William Cage that is has the ability to reset the day after killing an alien. Bill Paxton’s character is really outstanding and probably the funniest character in the film. 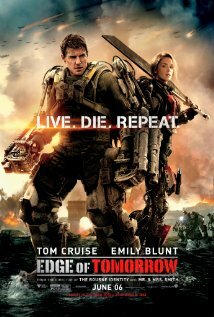 Edge of Tomorrow is a science fiction groundhog day but it is one of the best action movies of the year. Gone Girl is my favorite film of the year. I love this movie and sold on the plot from the first trailer. Gone Girl is really three hours of pure suspenseful entertainment. I have seen this film about three times in the theater. I was still wowed by the suspense and mystery every moment of the film. Ben Affleck kills it in the movie but it is Rosemund Pike who steals the show. Tyler Perry also a giant scene stealer. Neil Patrick Harris’s final moment in the film will leave you speechless. Gone Girl had the same tone and setting throughout the whole entire movie. I will get this DVD and watch several times after I get it. This might be the best mystery drama produced by Fox in a long time. 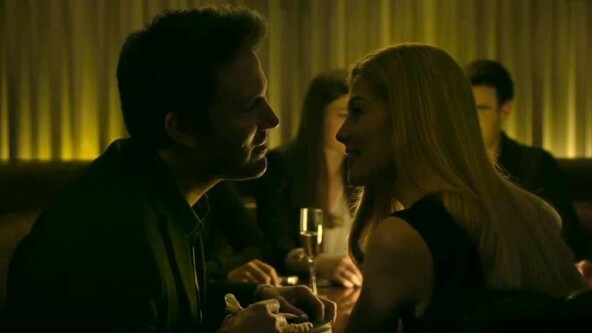 David Fincher will probably get an Oscar nomination, and Gillian Flynn will get the best adapted screenplay award. I will end this list on this final tidbit about Gone Girl. The movie will make you look twice or think twice about getting married or even dating. I think this why I like it so much. It makes you question what it means to be in a relationship.